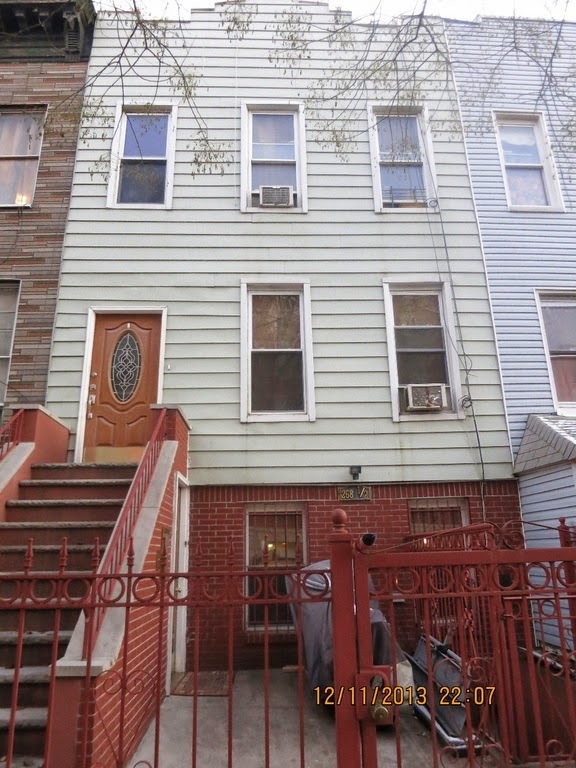 Just in time for the new year, it's another new record for a townhouse in Bed-Stuy. This time at 101 Hancock Street, which listed for $2.45M to much fanfare and is now in contract slightly over that asking price. 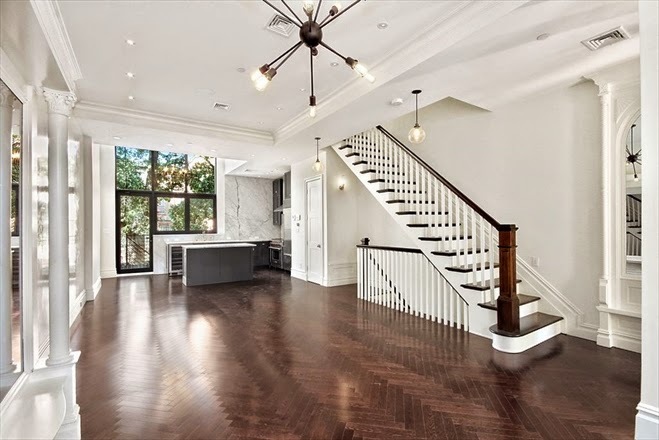 From the developers who brought you another Bed-Stuy record breaker over $2M at 22 Arlington Place, and who landed $3.5M not far away on the Clinton Hill / Fort Greene border at 384 Vanderbilt Avenue, this renovated 2-Family is part modern, part generic, part stunner. 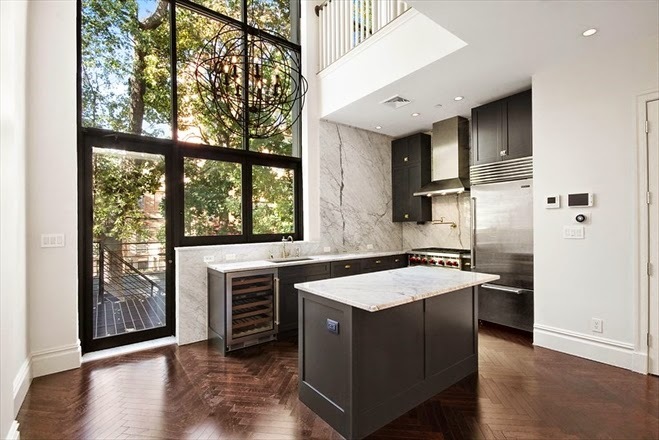 From the same broker team that dropped a restoration stunner on ya in Bed-Stuy at 260 Decatur Street, and hit an at-the-time shocking number of $1.95M in May, this market that's "cooling down" (to hear some people tell it) was poised to hit over $2M multiple times the rest of the year in neighborhoods no one thought "deserved" it. 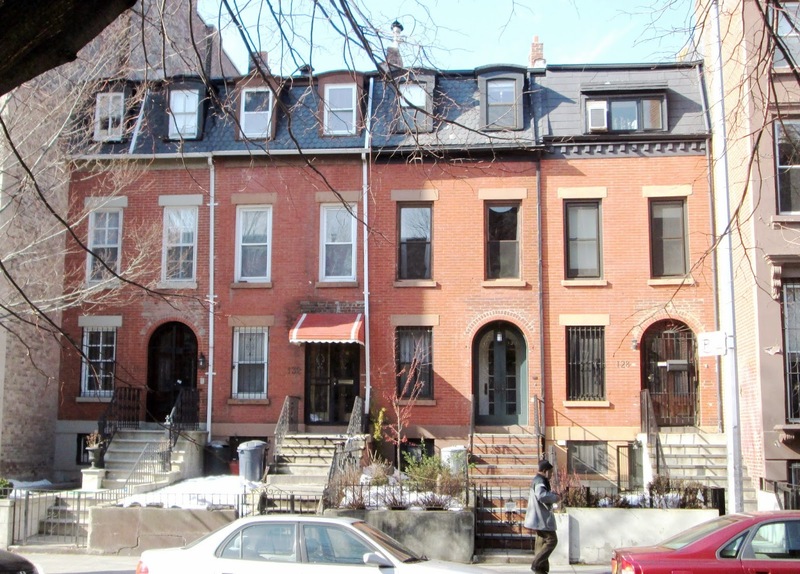 But hitting almost $2.5M in Bed-Stuy when people still think that's Clinton Hill prices? You've gotta just sit back and say, "Wow!" We have been for a few months now. 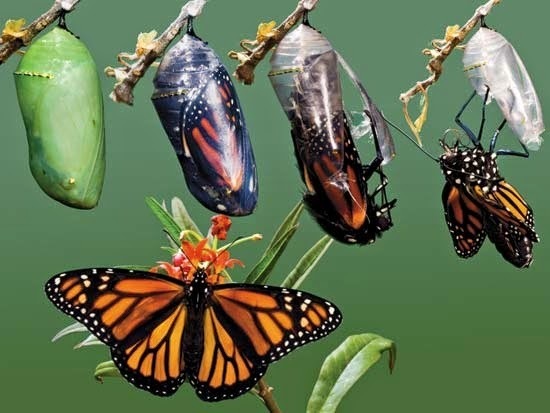 Can we officially say the metamorphosis is complete now? Bed-Stuy is no longer your creepy crawler caterpillar, but a butterfly ready to spread its wings and fly with any other top neighborhood in Brooklyn. The style of 101 Hancock isn't for everyone, but you can't please all the people all the time. These developers were some of the first to really grasp that high-end end users would make their way east and pay a premium for even slightly unique product. And nifty little stylistic touches that are a turn-off to some really appeal to others. Playing middle of the road isn't the way to knock it out of the park for that one right buyer. Remember, the peanut gallery masses don't by this building, one person or couple does. 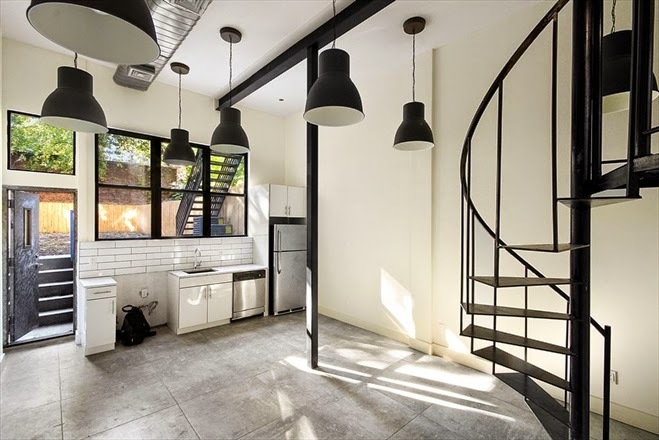 These developers have employed a medley of styles, and "additional photos of past projects [of theirs] have also been included in this listing to provide a better frame of reference for this project..."
Sure, spiral staircases are impractical, but so are useless garden floors with no ceiling height. How about the double height on the back half of the parlor with all those windows (dubbed "wall of glass") creating a little atrium in the back? What the house lacks in character it tries to make up for in newness and nifty touches. Say what you want about Bed-Stuy. 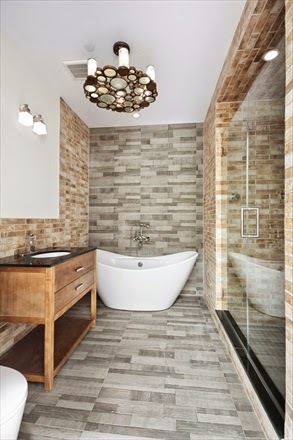 Say what you want about the quality of renovation of this house. But you can't say that it's not another record breaker. 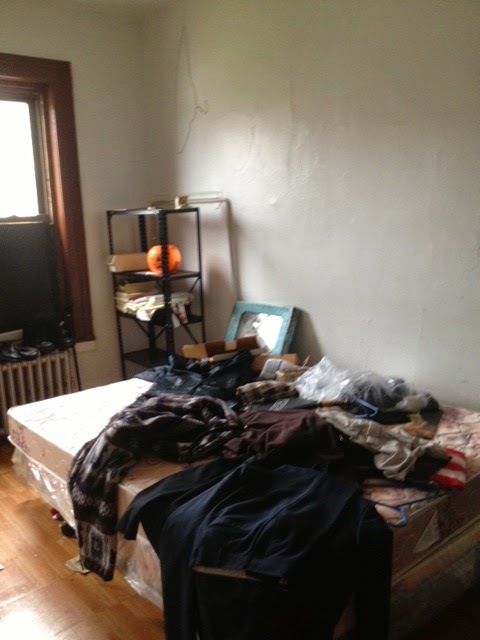 And if you think this renovation is only "meh", then what will an even better renovation go for next year? Con's: omg - the price!, kinda generic, not everyone's taste, where's the original details?, where's the soul? Back before Halloween, we tried to warn that some big contracts were coming down the pipeline. 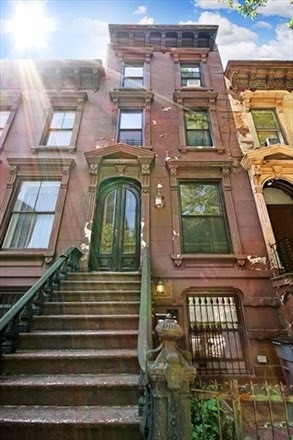 Among them, this unique 27' wide gem at 672 St. Marks Avenue. 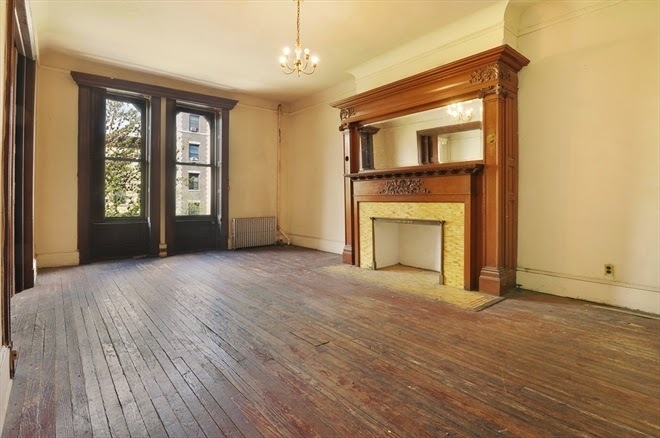 While people are still hating on full-sized fixer-uppers pre-market for under $2.5M in Fort Greene, over in Crown Heights this 5-unit townhouse off of Nostrand Avenue closes for $2.9M. 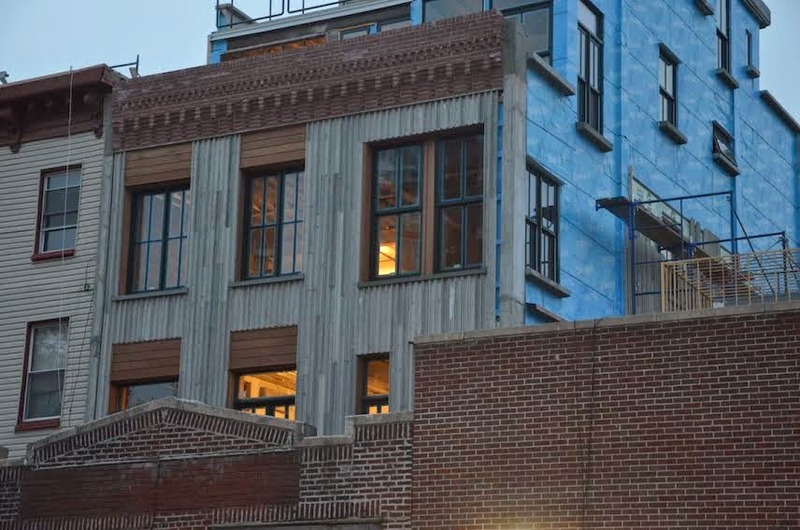 Even one of the foremost local experts for the area said 6 months ago, "This is one of my favorite blocks in CHN, with a lot of architectural gems on it, but it’s a long way from a 3 million dollar block, no matter how fabulous the house is. That price is just greedy." Another commenter added, "Price would be a game changer for the neighborhood and not many want to be the buyer who pays the highest price to date. Did I say needs lots of work?" "25 rooms" up in this?? 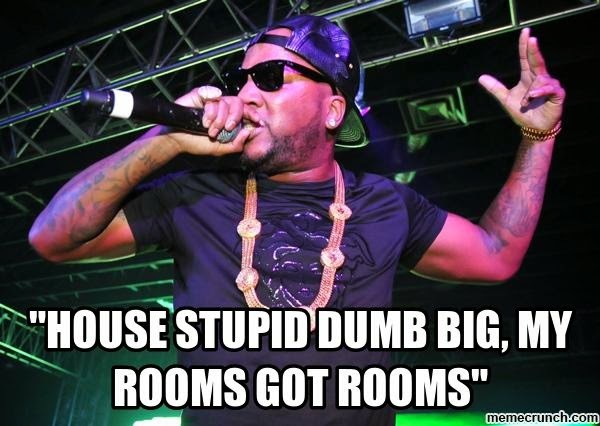 Jeezy said it best. "Hottest thing in the lot, that there mine." And 672's pricing is among the many reasons why we thought it was okay to "overpay" for 669. Now, hindsight is 20/20, but if you were in right place & the right time to pick up 672 St. Marks last year for the $1.1M cash it traded for, you'd really be flipping bricks. "36 a thousand times, I'm doin' somersaults / Do it right & you can leave your whole summer off." Let's sit back and think about this again. 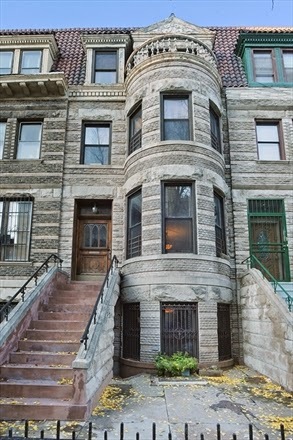 $2.9M in Crown Heights! Sure, the house is huge and unique, but it's not finished. 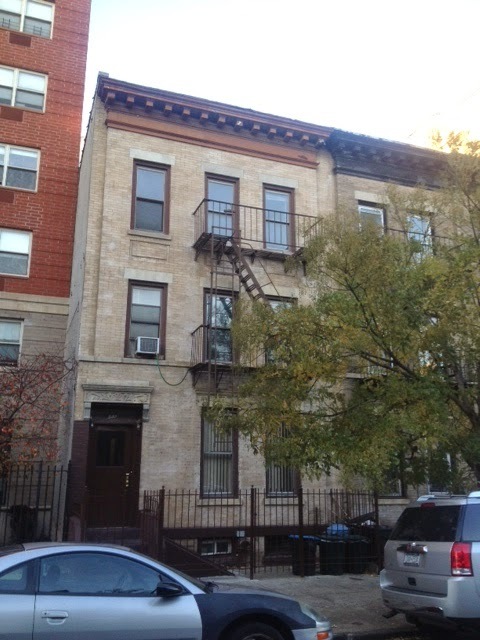 And this is a price people were too chicken to pay on a vacant 5-story 5-unit corner gem with parking in Clinton Hill!! Just goes to show that premier properties will command premier prices, even east of Franklin Avenue. 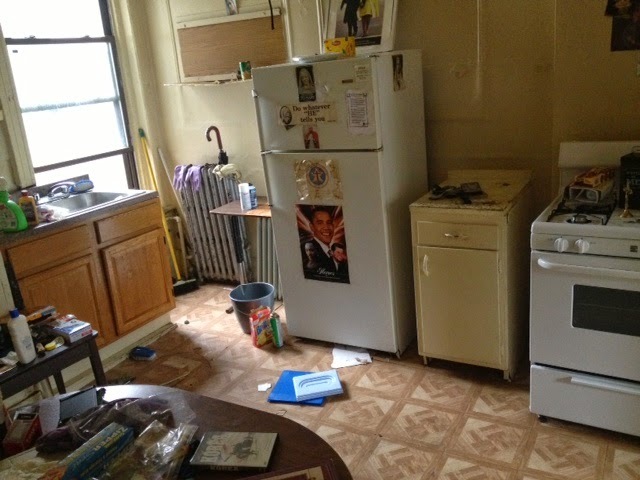 But still, $2.9M for a fixer-upper in Crown Heights, no matter how sensational the house, is a shocker. 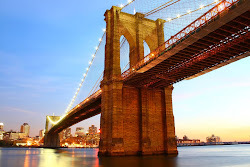 Where do we go next, Brooklyn? We have officially seen it all. Con's: record-breaking price, work to be done, where's the upside?, what's the move? 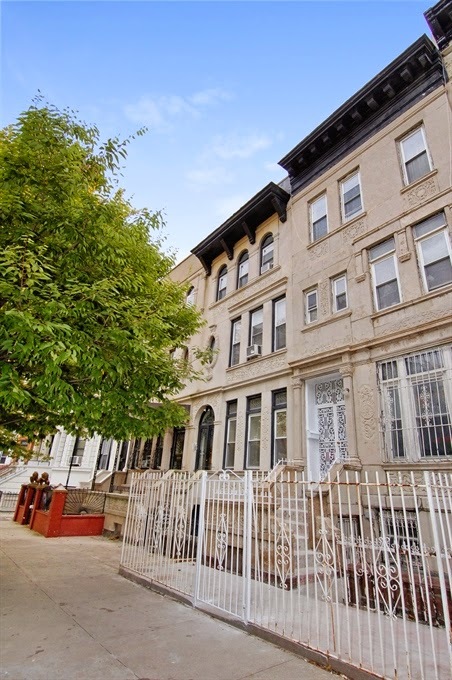 A few months ago, we were super excited to hear about this off-market 6-Family on the same block as Franklin Park on the edge between Prospect Heights and Crown Heights. Especially since it was being pitched as delivered vacant. Sure, it's only 3 stories, but it IS 20' x 65' on a 131' lot and zoned to build as many as 10,000 sqft. And did we mention, they can deliver it vacant? So whether you buy & hold it or develop the heck out of it, there's upside to play with right out the box. 1BR's in the front and 2BR's in the back, depending on how you play it. And you'll really have something. Of course that too is a gift horse that's easy to look in the mouth. 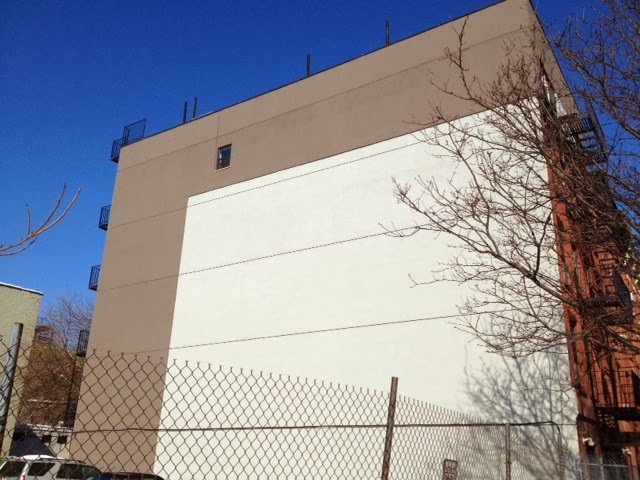 When a building has a huge extension, it makes folks go, "But look how small the backyard is!" So there's always a trade off. Do you want more house and a smaller yard, or more yard and less house? Do you want extra windows and bedrooms on the unattached side, or a wider floor plate and only 2 exposures? You probably want your cake & eat it too. How bad is $220/bsf with actual bones when a bombed-out garage across the street sold for $177/bsf this year at 564-570 St. Johns Place? Let this be a lesson to sellers and buyers alike. Buyers, just 'cause you find an off-market seller, it doesn't mean they want to sell to you and only you. They've got a right to more money if it's out there and they ain't afraid to go after it. Sellers, just 'cause a broker says a price higher than anyone else has told you, doesn't mean they'll net you a penny more or do it anytime soon. They may net you the same price or less months later, but it's worth a shot. It's a market y'all. A tug of war between buyers and sellers, and nobody owes anybody anything. Ideally: a totally interesting deal at the right price. A huge waste of time at the wrong price. 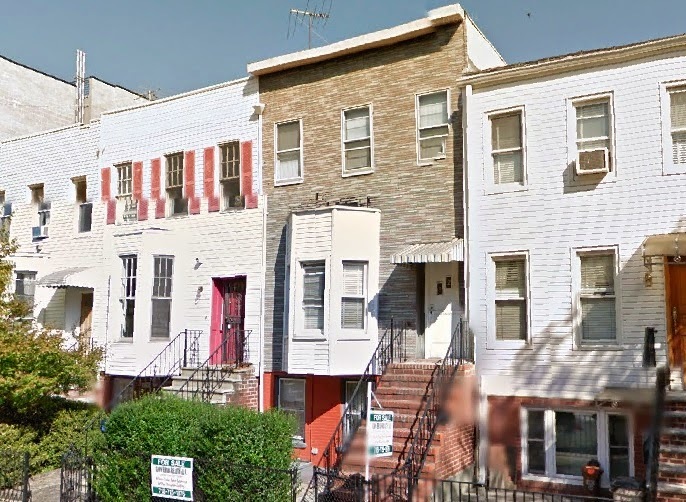 Buy & hold investors are heading as far east as Albany Avenue to pick up this hefty 13-unit building at 1097 Prospect Place. At over 40' wide and over 15,000/sqft, this property didn't sell overnight at its asking price of $3.25M. However it did close last month for $3.05M, or $200/sqft. 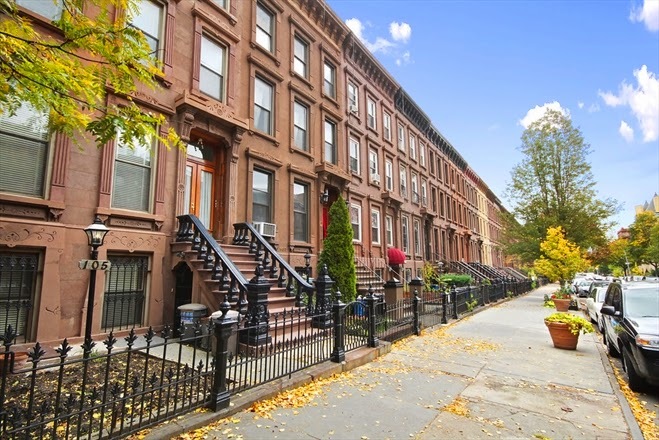 A 3-cap deep in Crown Heights around the corner from the projects? Investors will do what they have to do to get big buy & holds these days. 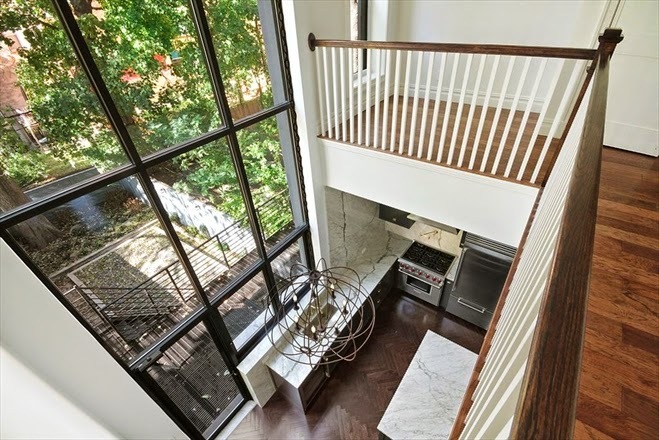 Can't wait to see how close to $3M the much smaller 672 St. Marks Avenue managed to achieve. Over in Ditmas, the big-bad "hedgefund" boogie-man that every likes to blame for the run up in Brooklyn's prices, after picking up over $100M in Brooklyn properties in barely 2 years - they've unloaded another one. They're not in sales formation quite yet, but supposedly Ditmas wasn't worth hanging on to without a cluster of other properties there like they have in other neighborhoods. 777 Rugby Road, purchased last year for $1.055M, sells this year for basically full asking price of $1.33M. 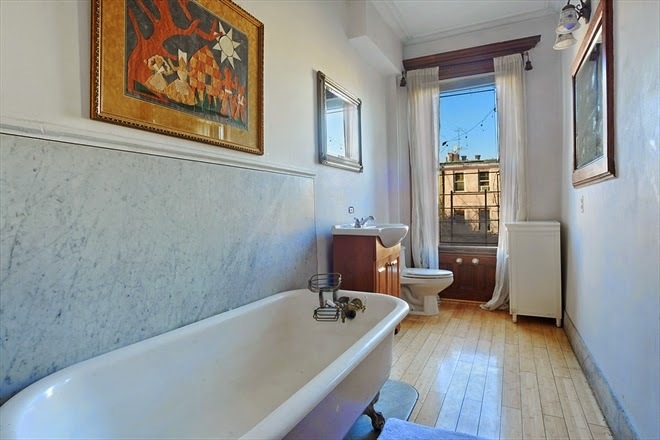 That's that single-family Victorian living for ya. And before you go trying to count their money and figure out how much they put into it and is ~$300K gross profits really worth it after fees etc, don't forget they've moved other pieces already for much more drastic returns. Like when they turned 857 Park Place around within one year without doing anything significant to it, for a $400K profit. If your "bad beats" are still grossing 30% returns in under a year, that ain't bad. But you don't have to be a $200M+ international REIT to get a little real estate empire cooking in Brooklyn. Even in Fort Greene. All it takes is a decent income, a few hundred thousand (okay, that's not easy), and two eyes. 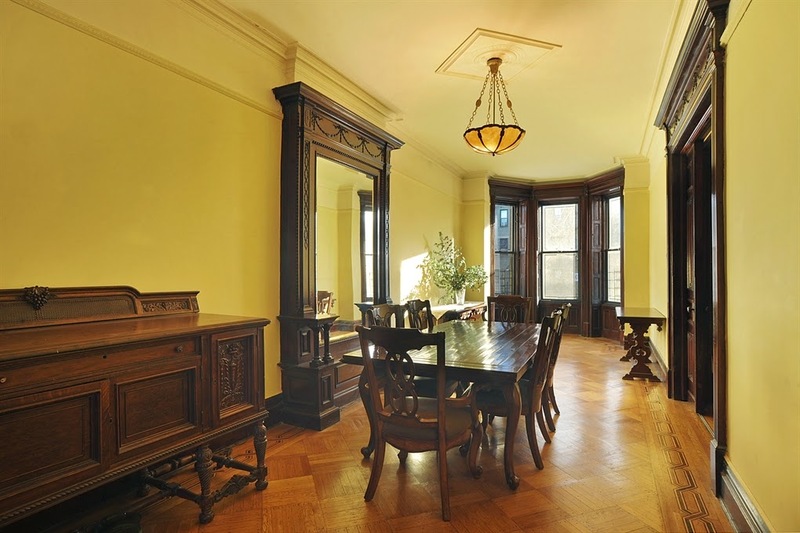 We told you this year that 460 Carlton Avenue was Fort Greene's most affordable listing. And who listened? 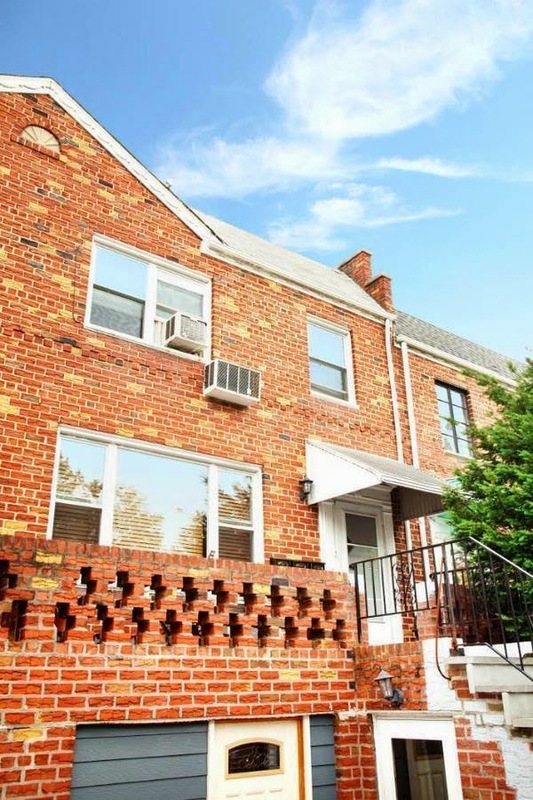 None other than the buyers from Manhattan who picked up the same house around the corner at 365 Cumberland Street which we called precisely one year prior "Fort Greene's Most Affordable 3-Family". Cumberland sold for $1.43M, 460 Carlton sold last month for $1.61M with just over $600K down. The deal so nice, they bought it twice. 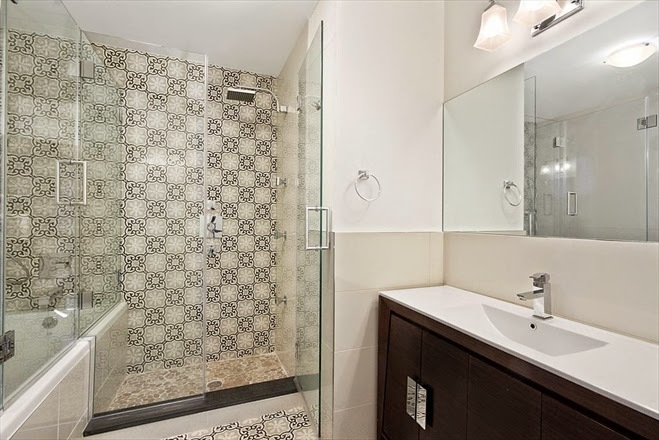 Now there are 2 others available over here in Atlantic Commons off-market and pre-market for $1.7M-$1.9M. Why's a 3-Family built in the 1990's with rental income, a tennis court, and a parking space such a good value at $1.6M? Because you can cross the street to Newswalk and spend $1.925M for a condo with $1,500+/month maintenance fees. 535 Dean Street, #707 closed last month. 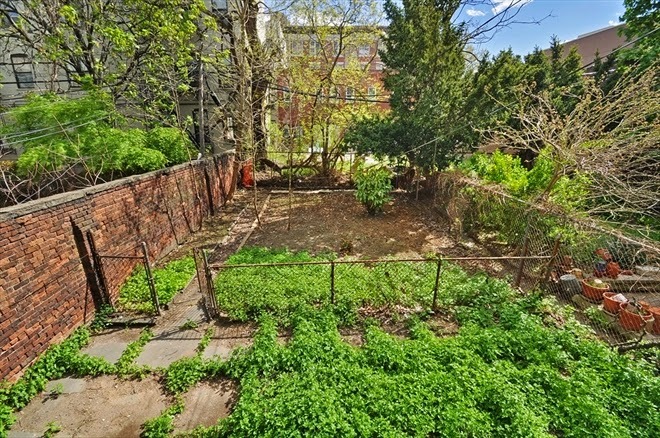 Just another $1,000+/sqft notch on Brooklyn's belt. 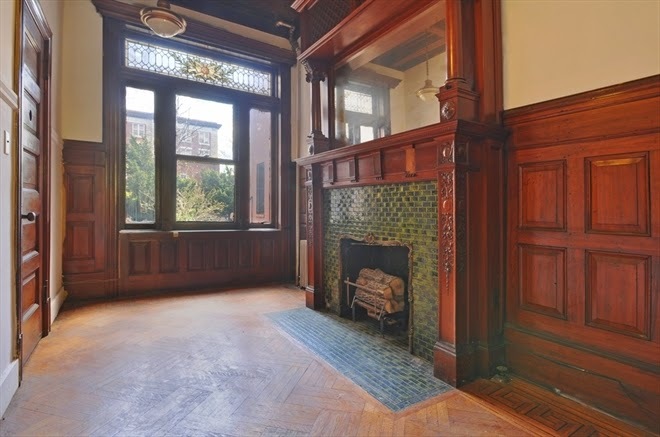 Buyers from Fort Greene also picked up #317 in this building for $1.745M last month. But you true blue ballers don't wanna live in loft condo across Atlantic Avenue to be next to Fort Greene, do you? And you certainly don't wanna live in a generic 1990's construction 3-Family either. 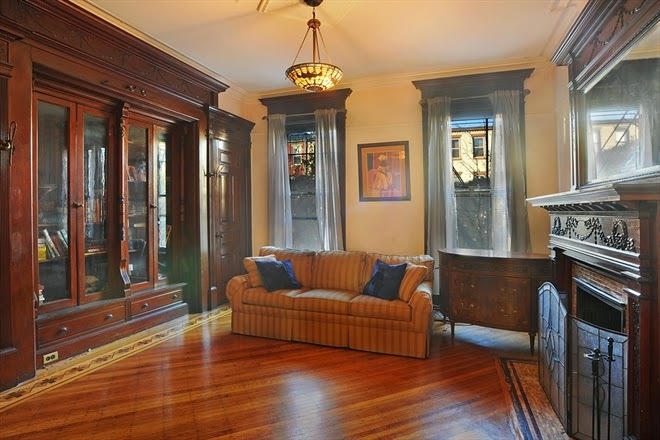 So step on into real Fort Greene luxury on one of everyone's favorite (there's only 2) blocks in the neighborhood. 128 South Oxford is a 12.5' wide single family. Good luck fitting a couch through the door at this little gem. Listed for $2.65M, it sold last month for $2.525M. AKA, way over $1,000 sqft for a townhouse. Buyers put a million down to make it happen. Last week, clowns with less than a million down tried to hate on a 20' wide four-story around the corner from here pre-market for even less than this, but don't even know what the real Fort Greene market is like. 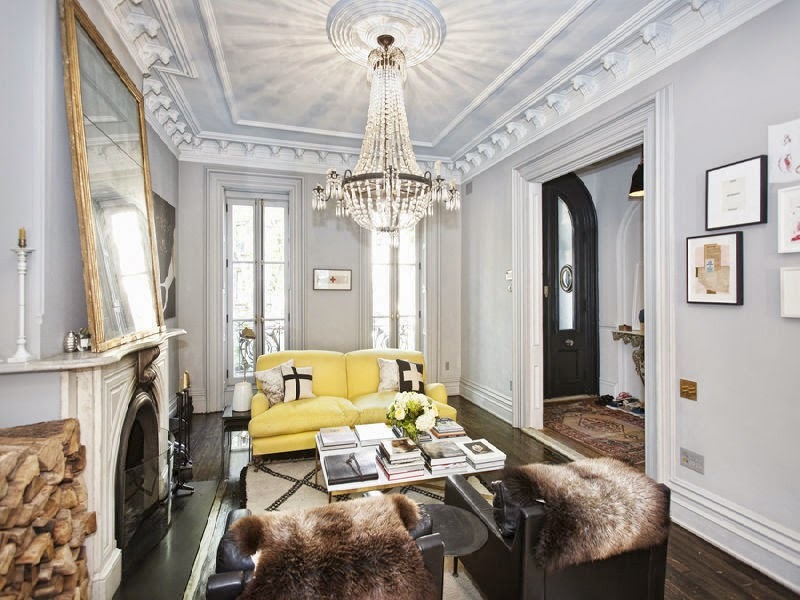 Remind us why $1.6M in Fort Greene for a 3-Fam is such a steal? 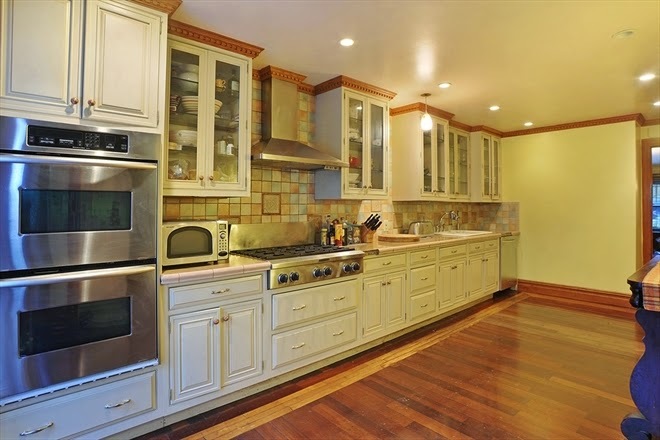 Oh, cause come on down to Park Slope and see what $1.6M gets you. But go long. Go south. 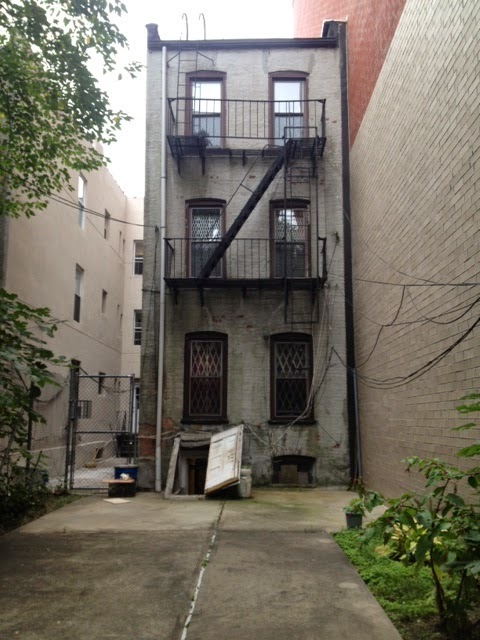 Keep going... until you get to 321 12th Street where this tiny little 18' x 35' 3-story frame house in need of work closed for $1.6M with $500K down to buyers from the Upper East Side. Ouch! Is that the one the unicorn hunters were waiting for? 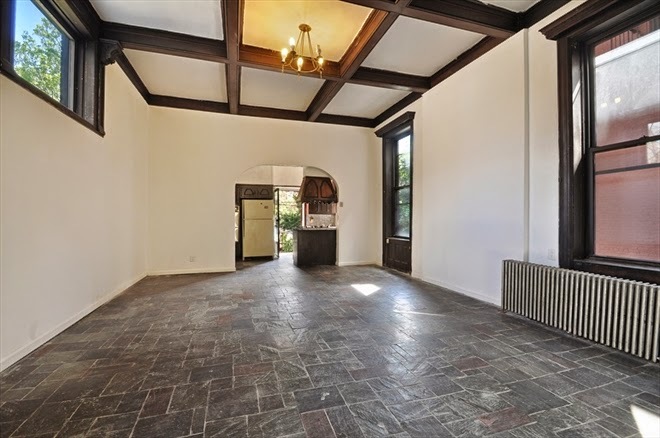 Or maybe it was this brick beauty in Windsor Terrace at 561 Prospect Avenue? 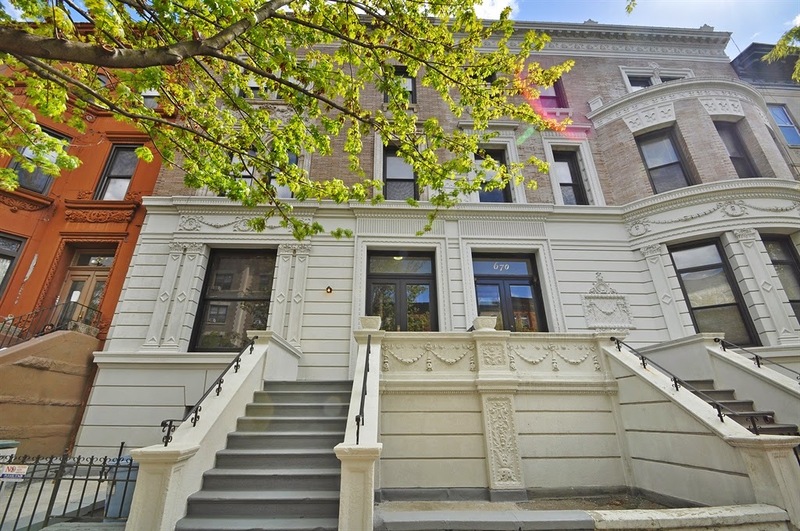 Closed for $1.665M with over $300K down last month to buyers from Chelsea. Maybe this was the unicorn they had in mind. Feel free to hate on the 1960's construction, the Queens-esque facade, and the generic interior. But it *does* have parking! 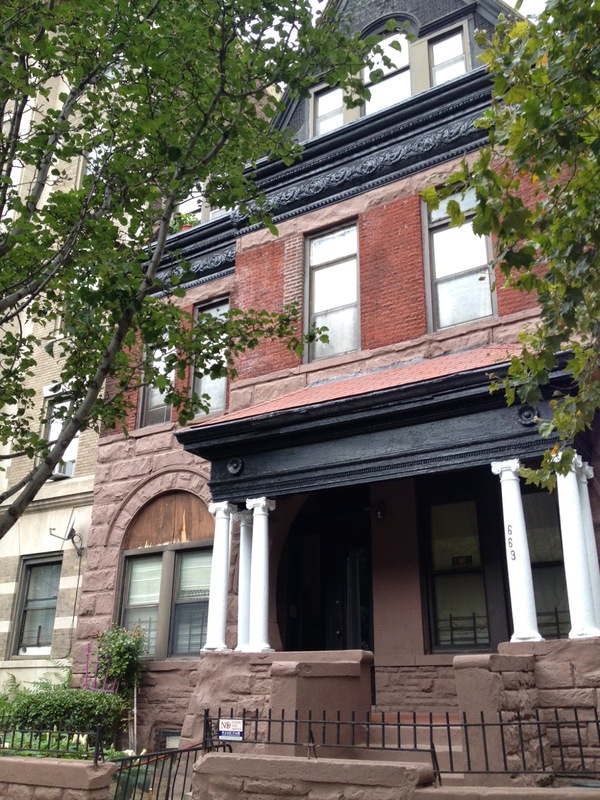 Over in Clinton Hill, as $1,000/sqft sweeps west for condos, the 1BR's are approaching $1M. It's all mathematics. 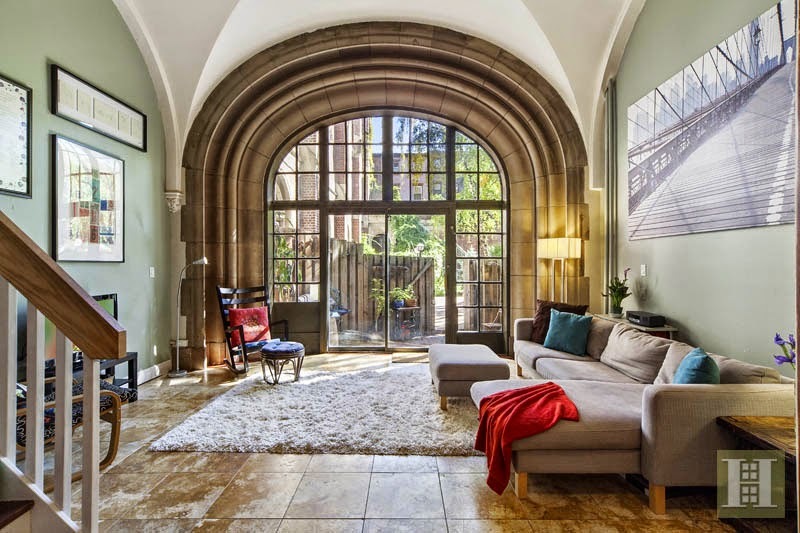 This groundfloor gem at the Cathedral Condominiums (albethey right on Atlantic Avenue) listed for $795K. 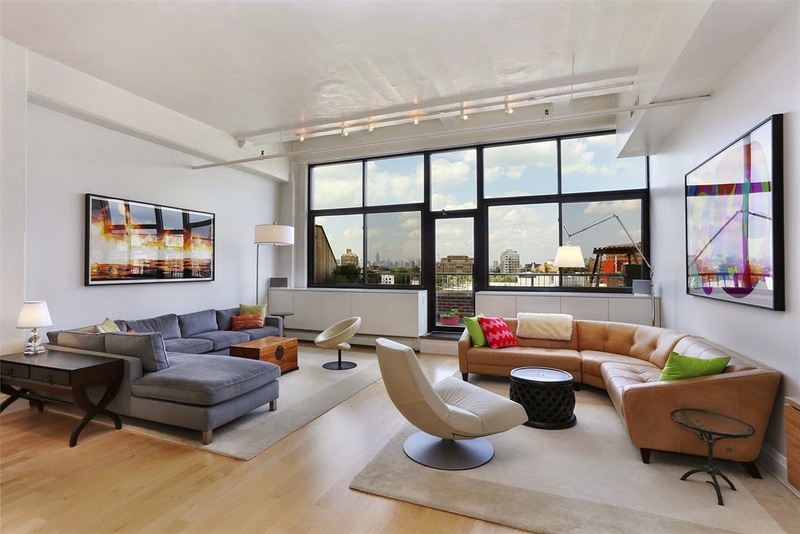 555 Washington Avenue, #1D sold last month for $895K to a buyer from Williamsburg. We've always gotta smile when pro's and novices tell us the Brooklyn real estate market is cooling down. 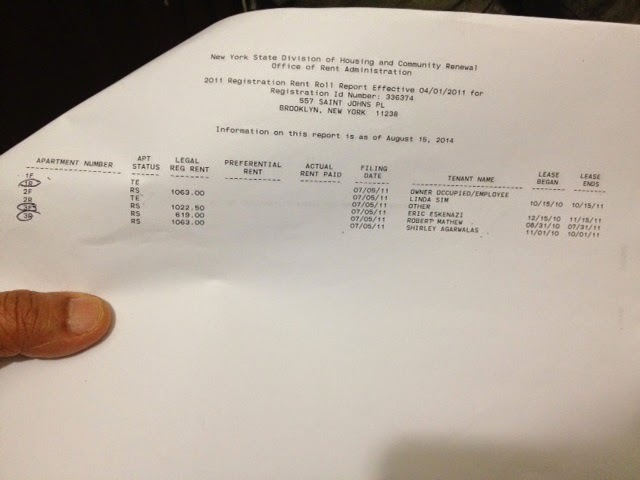 Poor Park Slope can't even get full asking price for 415 3rd Street?? Poor thing listed for $4.25M and sold last month for a paltry $4.2M. Extra wide and extra deep, is there even meat on the bone for condos at this price? No investor we know would think so, but that doesn't mean they're not out there. All it takes is one buyer, you don't need a bidding war on every listing. 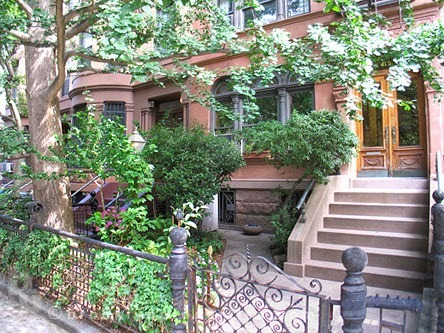 Besides, remember when $4M got you this in Park Slope...? How about this one story auto repair garage in "the hood"? 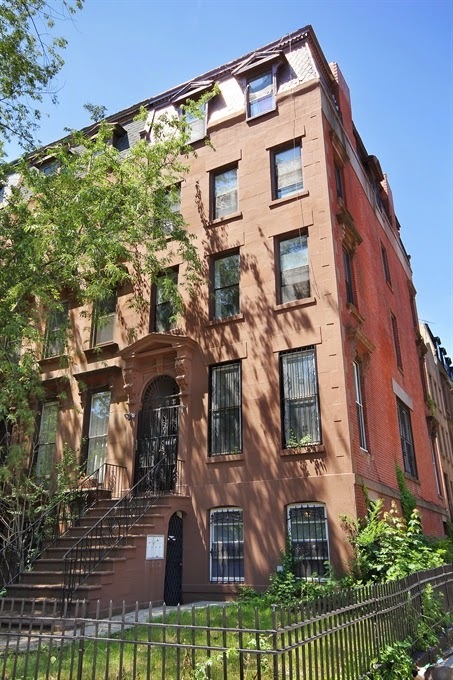 800 Park Place sold last month for $1M. 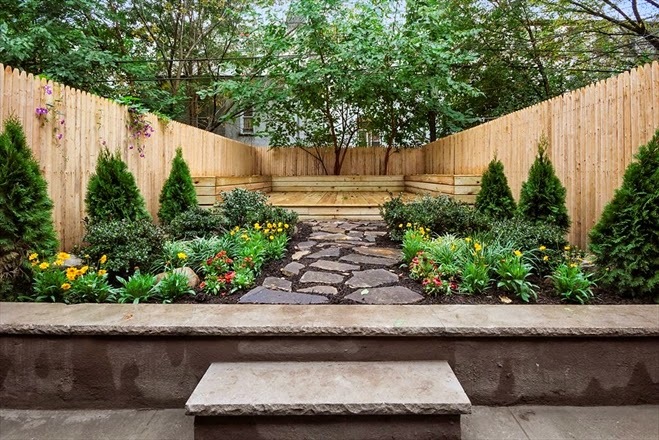 Or when Park Slope's got you down, go deeper into Greenwood where 266 17th Street closed last month for just over $1.2M. 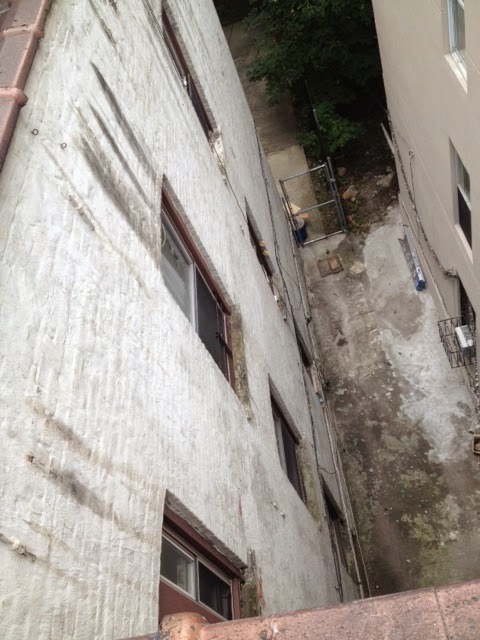 20' x 30' on 3-stories in underwhelming condition. That's the supply & demand going on in the streets right now. 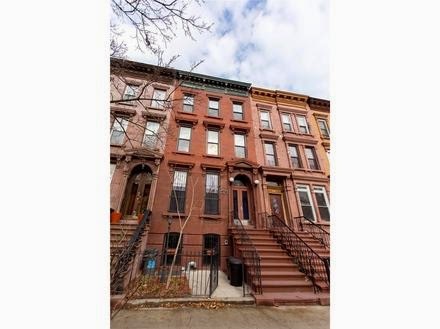 Or follow folks from a Pro-Cro condo over to this 16' wide brownstone across the streets from the projects on the Bed-Stuy end of Clinton Hill. 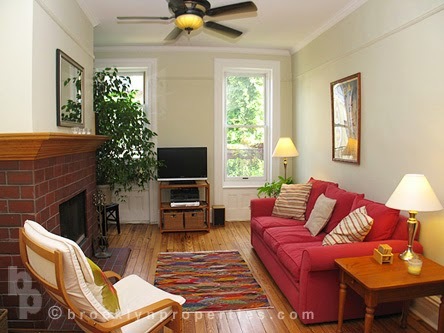 When the owners brought us over to take a look, we were pleasantly surprised at the quality of the details and how manageable the width is as a double duplex or triplex over garden rental. 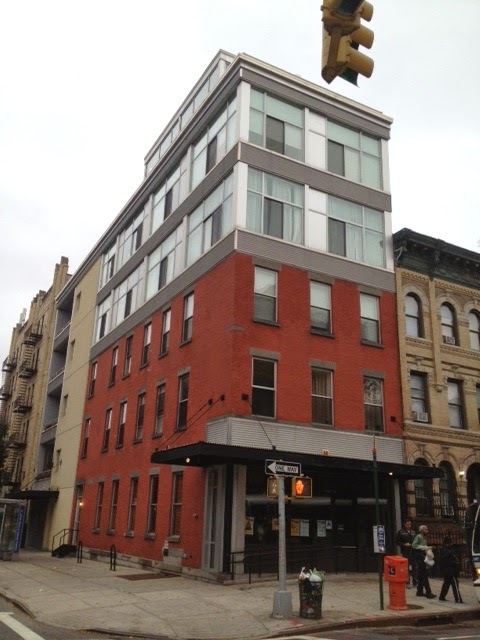 420 Lafayette Avenue closed for $1.55M last month with about 50% down. Not exactly what everyone with that kind of money down has in mind, but a great relative value in this market if the location isn't a deal-breaker. But not everything is priced through the roof. You've gotta go far out and look at some gnarly product to get under $1M these days. 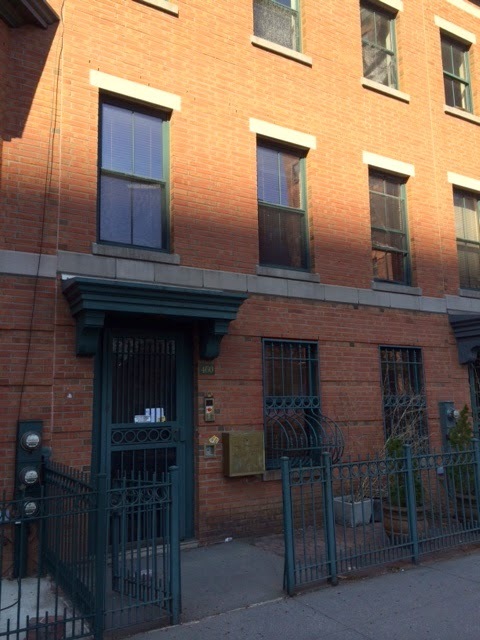 We toured 268a Kosciuszko Street in Brooklyn as a FSBO for $725K this summer. It closed for that price last month with less than $250K down. Much like 160 Bainbridge, this house is great and special, but not triple mint. Will that stop it from surpassing $2M in this market? It didn't stop 160 Bainbridge. 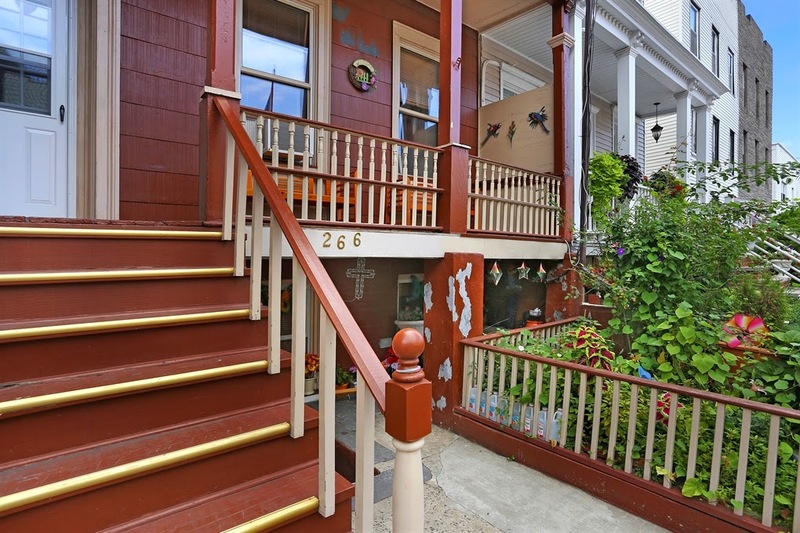 Is this house really worth a million more than 1134 Bergen Street after just one year? Only time - and the market - will tell. But if one of the next-best houses to yours just sold for $2.2M, you might be asking $2.3M too. So were see where they're coming from on 1193 Bergen. 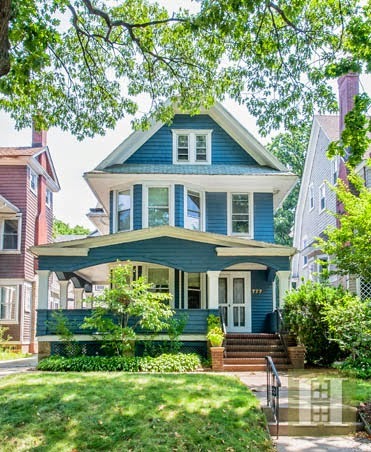 Even if this house sells for 20% off asking price, then we're right back to the ~$1.85M range, the asking price that was so shocking on 22 Arlington Place and 196 Hancock Street earlier this year, both of which closed over $2M. The secret is way out on this corridor of Crown Heights. 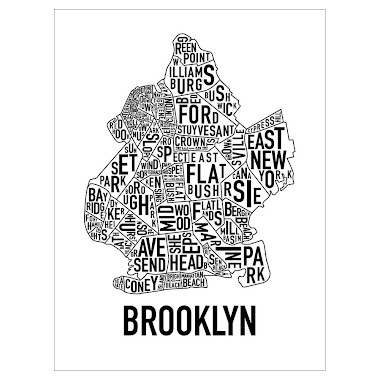 "Nostrand is too far" doesn't roll off the tongue like it used to. 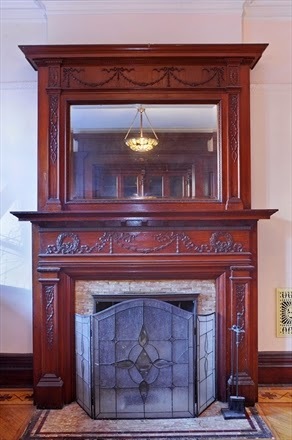 And a listing like this is a cool house at a price that's another sign of the times. Ideally: A- house asking an A+ price with little competition in its caliber. It's crazy that after just a year, we can't even afford our own neighborhood. Very interested to see what number makes it happen for this house.